This resplendent peacock theme card is made from a beautiful textured matte finish hand made a board that carries the theme in a watercolour effect in a book fold. 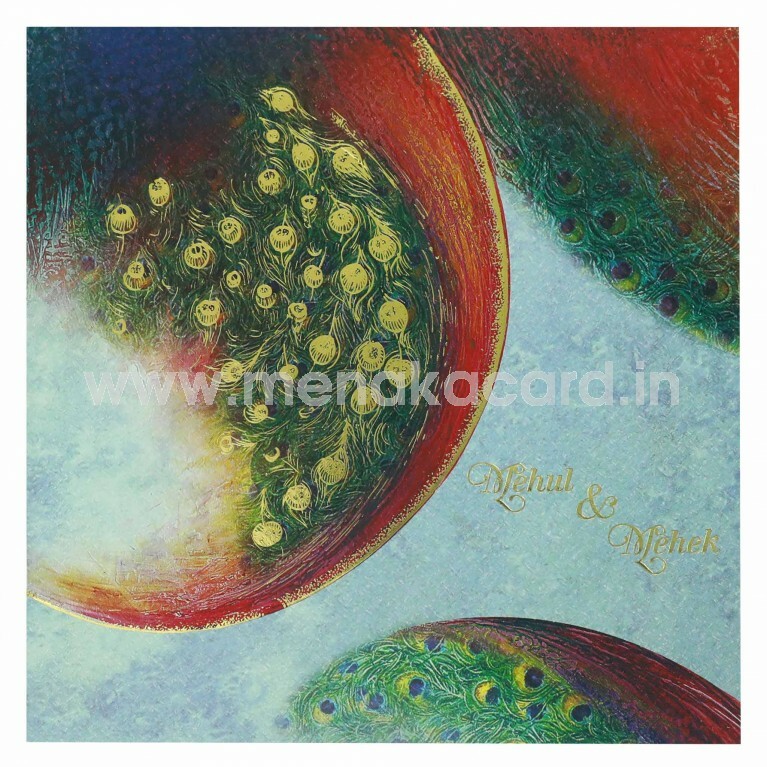 The front of this padded card carries an abstract peacock feather pattern embedded with gold foil, along with the names of the couple. 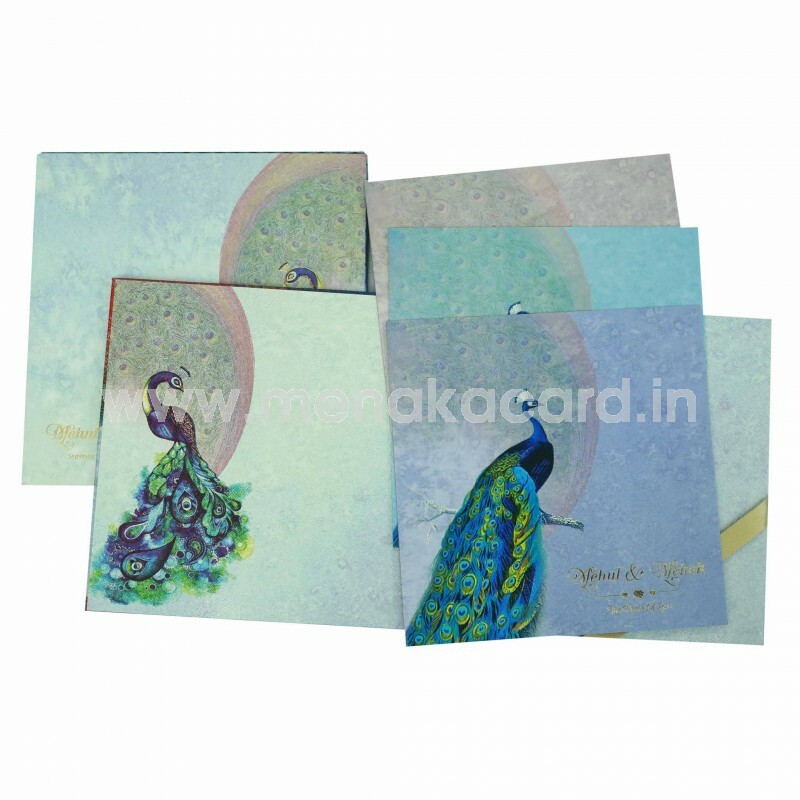 The two default inserts and inside are also digitally printed with the same peacock motifs throughout the card with the inserts being made out of a thick board material with peacock motifs on the back. 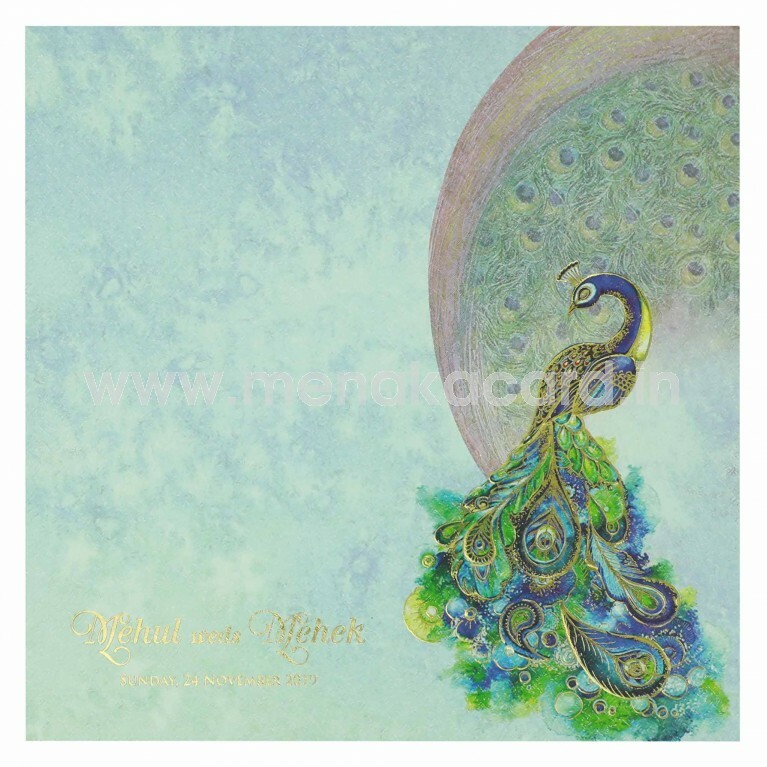 The envelope has a beautiful seated peacock with gold foil feathers. This can be used for Hindu, Christian, Muslim and Multi-faith weddings that require grandeur and theme bases. 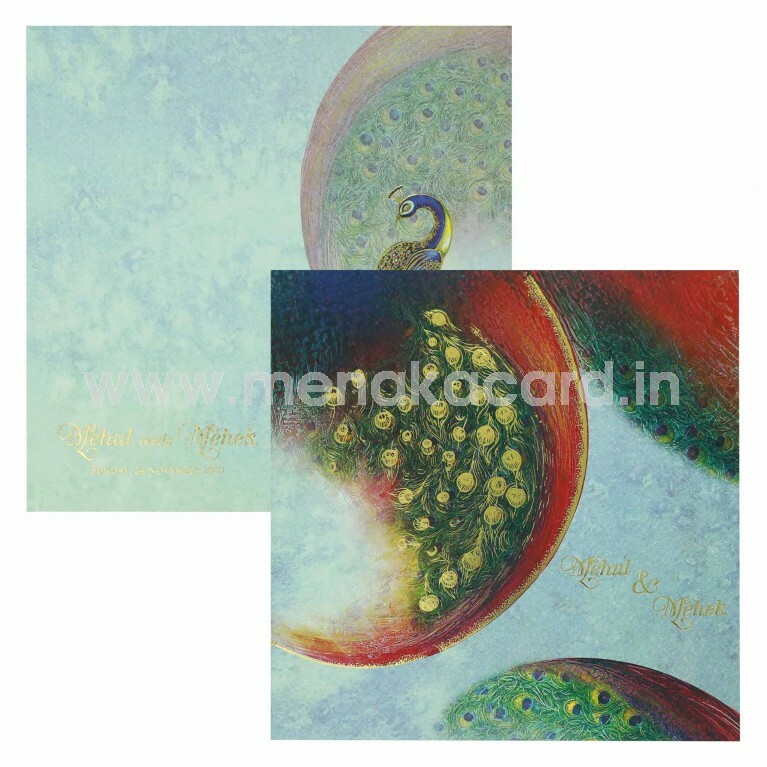 This card is not customisable in design.